1. 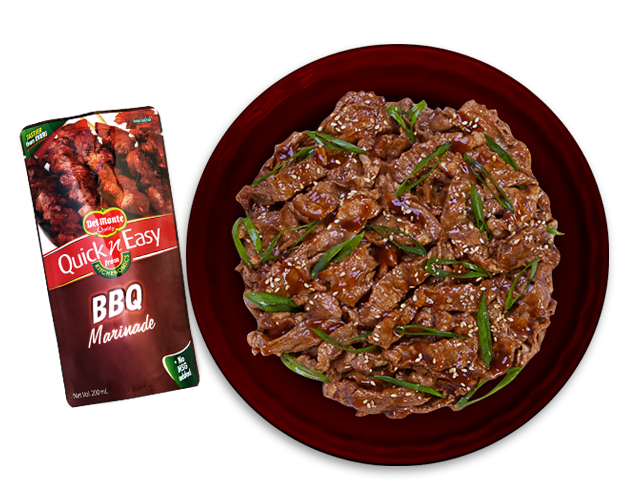 Add Del Monte Quick n Easy BBQ Marinade and ginger to beef. 2. Cover with a cling wrap and marinate overnight in the refrigerator. 4. Stir fry beef by batches (3 batches) until just cooked. 5. Top with leeks and sesame seeds and that's it!